SRT Technologies is the most reliable name in providing laptops in Pakistan, Laptops in karachi, Used laptops in karachi. 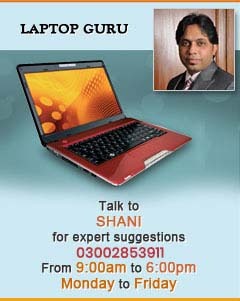 SRT is providing customer support to all laptop users. We provide HP Laptops in Karachi, Dell Laptops in Karachi, Acer Laptops in Karachi and IBM Laptops in Karachi. We also provide Laptop repairing services for all brands HP, Acer, Sony, IBM and Dell.